Last Saturday I attended a meeting showing the proposal being submitted for possible grant money. The park would take up about 140 acres of the 500 acres that could be purchased with the grant money. Baseball field, Softball fields. Soccer fields. Picnic Areas, Hiking trails. The arrow points to where the meeting was held. 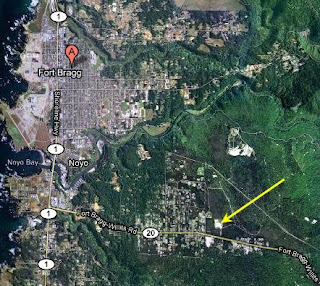 The yellow ellipsis shows where the proposed park (upper photo) would possibly be located. 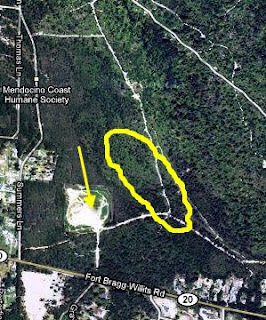 This shows the area in question and it's relation to Fort Bragg. I googled around and only found this link. Fraught. Oh! Now I get it! !